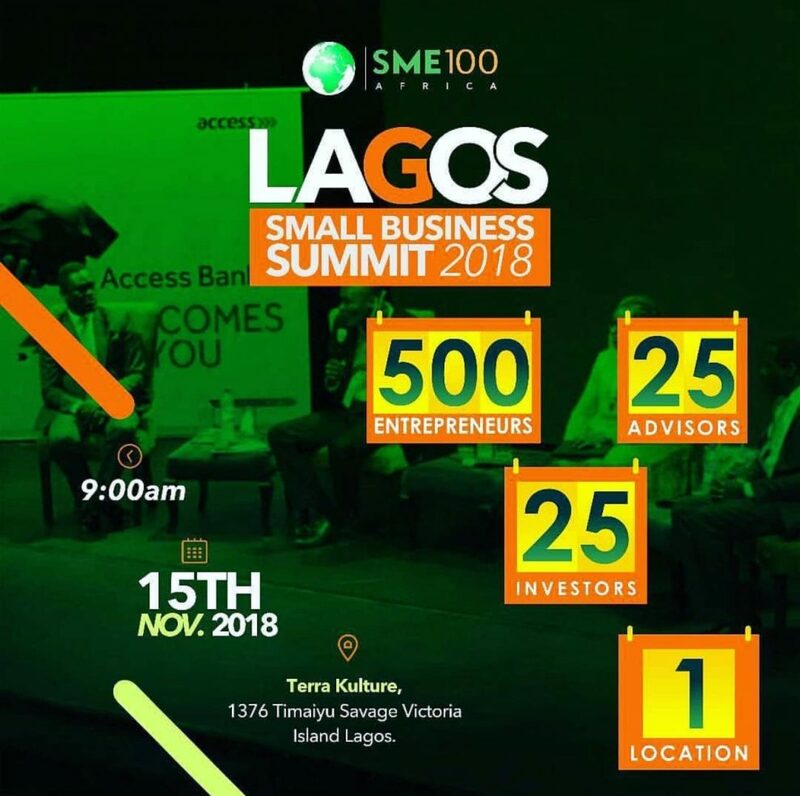 Lagos small business Summit organized by SME100 Nigeria is a platform that brings together government leaders and small business owners; who are innovative game changers in their various sectors. The objective of the summit is to discuss the impact that innovation and data have on all sectors of the economy and the role each play in being a catalyst for social good. The Summit would include panel discussions, keynote presentations, debates, exhibitions and Question and Answer segments. The goal of these interactions is to foster partnerships that would shape businesses in Lagos over the next 50 years. The Chairman of the planning committee noted that for small business to thrive in the face of the present Nigerian realities, they would be a need to foster partnerships with government, private sector and academia and the summit not only bring together these stakeholders but will address salient issues that affect doing business in Lagos and Nigeria as a whole. Terra Kulture 1376 Tiamuyi Savage Victoria Island Lagos-Nigeria. On Thursday, November 15th 2016. It will host 500 African entrepreneurs, private sector, government and academia. For Exhibition, sponsorship and adverts call 08177743650 or email communications@sme100nigeria.com. The Latest Tech, From AI to Blockchain, Is Changing Health Care: Are You Ready?